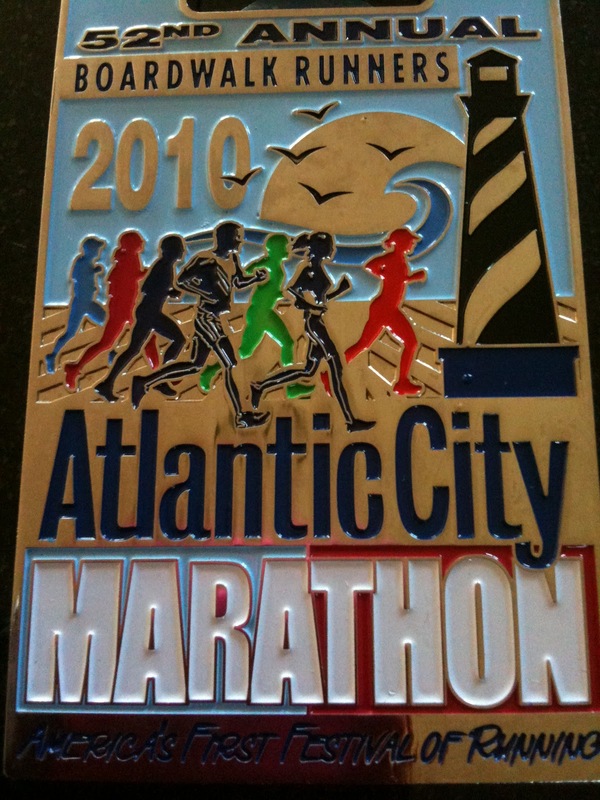 ﻿﻿﻿﻿﻿ Today I ran the half-marathon in the 52nd Annual Atlantic City Marathon. The run was exhilarating! I arrived at Boardwalk Hall around 7:30 a.m. The air was cool but crisp. 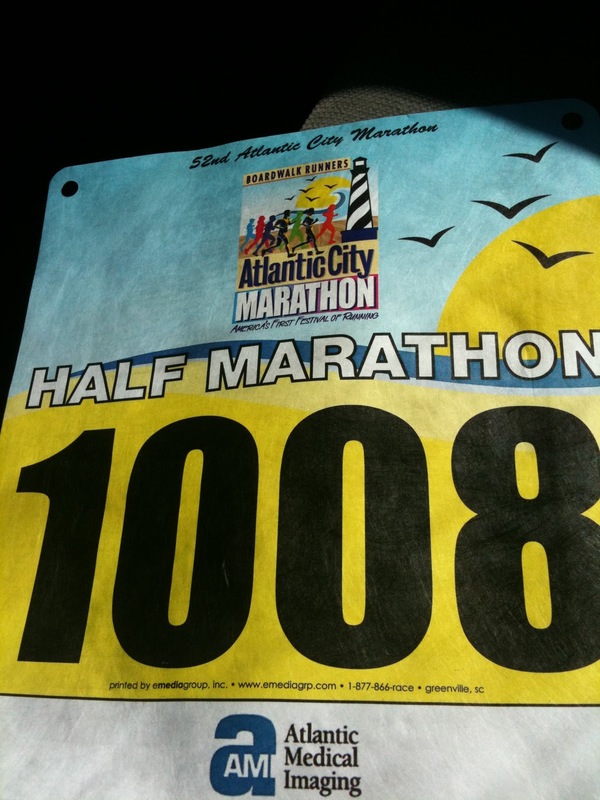 None of the runners, including me were bothered by the cool air blowing off the Atlantic Ocean. It’s difficult for me to put into words what I felt amongst the runners, but it was fabulous. I felt masses of positive energy of which I wanted to bottle up and save for the upcoming work week. I don’t know how many runners registered, but at the start of the run, runners were lined up shoulder to shoulder. The crowd was so tight that you were either stepping on someone’s foot or someone was stepping on your foot. There were a few beach balls bouncing off the heads and hands of the runners, but no one cared; it was all in good fun. Everyone was jovial, mannerly, energetic and eager to start. The average runner set a personal goal and winning the race wasn’t the objective. I’ve driven through Atlantic City for over 20 years, yet the view was quite different from a runner’s perspective. It was a luminous morning! As I paced myself to complete the 13.1 miles, I didn’t have a care in the world. My head bopped to my music. I laughed at some of the sights- Was amazed at a juggling marathon runner- inspired by runners old enough to be my parent- and in awe of others who dashed effortlessly pass me. Joy filled my soul and my spirit. I was on cloud nine or perhaps experiencing the notorious “runners high!” I was delighted that in spite of my half hazard training, I squeezed in- No. I mean made time for me to participate in an activity that is important to me. My unofficial time was 2:05 and a few seconds. My goal was to finish at 2 hours or just under. I fell short by 5 minutes, but I still feel great about my personal accomplishment. That’s the gist of this post. Find time for you! No matter what! You’re a mom, but you’re also a person who has personal dreams and goals. If you spend your entire life solely committed to your family; leaving yourself out of the equation, you’re destined for woe. The kids won’t suffer if they participate in one less activity so that you can pick a day or two to guiltlessly pursue your interests. Go ahead! Think forward and make some time for you! Oh, and make certain to have fun doing whatever it is that you set out to do! Have a blast like I did today! >Wow this is a wonderful, very uplifting post!! It makes me want to run, or at least walk now! !That is incredible the time you made Tanya.You should be so proud! I know I am!! >Thank you Liz! I had so much fun today. Go ahead. Get out there and walk; you'll have just as much fun. Don't forget your music!